Grandma's Dandruff Home Remedy Works Like A Charm! Are you looking for a good Dandruff Home Remedy that really works? A dry itchy scalp it not only miserable to live with, it's also embarrassing. Grandma's home remedy will leave your hair shiny, manageable, and get rid of those embarrassing flakes. Severe dandruff can actually be a symptom of something a lot more serious. One of the main causes of dandruff is dehydration. Relieving dehydration isn't as simple as you might think. First you have to understand once and for all water is the only fluid that is going to cleanse your body and hydrate your cells. Stay away from those fancy sport drinks, clean fresh spring water will do you body a lot more good than any expensive sports drink. No matter what else you drink during your day, coffee, juice, soft drinks, or teas, you still need to drink plenty of water all day long. It is especially important first thing in the morning. Make a habit of drinking a full glass of water while brewing your coffee or tea in the morning. The very best Dandruff Home Remedy I can recommend is Olive Oil Shampoo. It will not only bring a nice luster to your hair it also conditions your hair and scalp. Once you experience using Olive Oil Shampoo you'll notice you won't need to buy hair conditioner anymore. It's time to stop washing your hair with detergent. Any shampoo you buy over the counter in your drugstore or supermarket is nothing more than detergent. Yes, some shampoo has a mixture of hair conditioner in it. Which is still nothing more than wax or a liquid form of plastic. Its no wonder so many people are having major problems with dry itchy scalps and dandruff. After all, dandruff is nothing more than dry skin that is flaking off. But when you add plastic or wax on your hair that is bound to flake off too. Sure you can purchase the higher priced shampoo the beauty shops sell, but that's all they are, higher priced. When you find handmade Olive Oil Shampoo it may seem a bit expensive for a bar of shampoo but it actually lasts as long as a regular bottle of shampoo. Plus you won't have to added expense of buying conditioner. Most important, it is one of the best Dandruff Home Remedy's money can buy. I have to warn you though, after you use Olive Oil Shampoo for awhile it tends to over condition your hair and it is a good idea to keep a cheap bottle of any kind of shampoo on hand just to us once in awhile. Another warning about Olive Oil Shampoo is be careful if you like getting a Permanent Wave in your hair. The shampoo is great if you want to relax the curl or take the frizz out but if you like your hair very curly then use it for the first wash but use regular shampoo for the second wash.
Olive Oil Shampoo is excellent for African American hair. It will naturally relax the curl and give a beautiful conditioned shine. If you are dealing with Oily Dandruff and not a dry itchy scalp then follow the Home Remedy for Oily Dandruff instead of this remedy. For severe cases of a dry itchy scalp, or if you have no way of purchasing Olive Oil Shampoo, another good Dandruff Home Remedy you can use is Pure Virgin Olive Oil for a dry scalp treatment. It's important to heat the olive oil but use commonsense, you don't want to fry your scalp! Just heat it so that it's just warm to the touch and lather your hair and scalp with the oil. I know it's messy but believe me it's worth the mess. After massaging the Olive Oil into your scalp wrap your head in a towel for about 30 minutes. Then wash your hair as you usually do, making sure you lather twice. You'll soon discover it's worth the mess. Your scalp and hair will thank you for the bother. 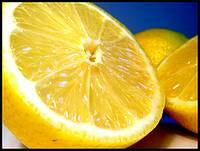 Another little tip is if your scalp is a bit sore from scratching and you need a bit of extra relief use a lemon for a quick rinse. All you need to do is take a fresh lemon and squeeze the juice into a large cup or glass then fill with warm water, just pour it over your hair and scalp after shampooing. The lemon is a really good astringent and if you have any tiny cuts in your scalp there are natural antibiotics in lemons. As an added bonus your hair will smell amazing. Finding a good Dandruff Home Remedy isn't easy but once you do it's important to keep the dry scalp treatment consistent. Try using this method once a week, then one every two weeks. Before you know it, you'll be wearing black sweaters again. If you're having dry skin problems make sure you read Home Remedy for Dry Skin. Do you have a favorite home remedy or maybe a comment to make about the side effects of drugs? Here's is your opportunity to share it with the world, just click below.